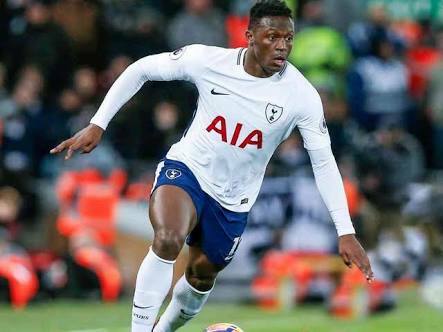 Totenham Hotspurs midfielder Victor Wanyama has been left out of the Harambee stars squad to face Ghana in the African Cup of Nations qualifier on Sarturday. Coach Sebastien Migne has left out the midfield maestro after he failed to arrive in Nairobi as expected.The 27-year-old, who is returning from a nagging injury did not make the trip to Nairobi following doctor’s advice, according to a report. Among other players axed from the trimmed squad include George Blackberry Odhiambo,Samuel Onyango both of Gor Mahia and in-form AFC Leorpads midfielder Whyvonne Isuza.Bandari FC shot stopper who has so far posted 18 clean sheets made the cut alongside his teammate Abdalla Hassan. Japan-based striker Michael Olunga and Johanna Omollo who plays in Belgium have both arrived at the camp completing the named squad.Stars,who have lost their previous 2 matches,will be looking to record their first win after back to back loses. Meanwhile former coach Jacob Ghost Mulee has urged the Harambee Stars team not to rely so much on Wanyama but instead work on getting the best out of their current squad.Speaking shortly after the final squad was announced,Mulee urged the players to focus on Sarturdays match rather than Victor Wanyama’s absence.“We are just putting ourselves under a lot of pressure by thinking about Wanyama’s availability. The truth of the matter is that he may not be available considering that he is just resuming after an injury layoff. It would not make sense for his club to release him,” said Mulee. Mulee has urged the team to find a replacement of the missing Wanyama and added that even if he could play that match,he wouldnt be 100% fit. “The best thing to do is get a replacement because even if he comes, he will not be in his best shape. This is a big game for Stars and Wanyama has not been playing competitively. He may not be of much help,” Mulee insisted. Francis Kahata, Abdallah Hassan, Anthony Akumu, Eric Johanna, Ismail Gonzalez and Johanna Omollo has been tasked with replacing the decorated Wanyama in the midfield. Here is the complete Harambee Stars Squad.